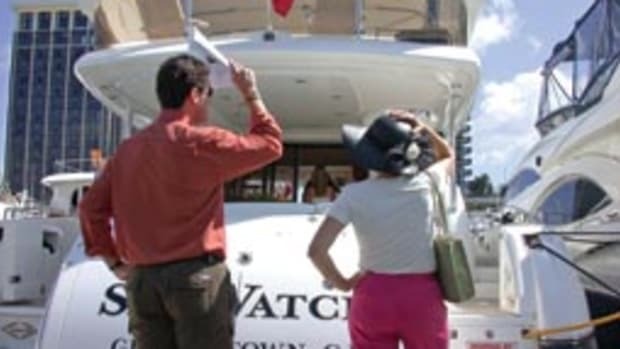 Buried deep within the Coast Guard 2011 authorization bill is a short paragraph enabling the agency to require emergency locator beacons on pleasure boats when they go offshore - a measure advocates say could save lives while also saving millions each year in search costs. "Searching is very expensive, not to mention that it puts people&apos;s lives at risk," says Richard Hiscock, a champion of vessel safety for more than three decades. The 65-year-old Hiscock - a former fisherman, harbormaster, congressional staff member and marine safety consultant, instructor and investigator - is semiretired in Vergennes, Vt., but remains passionate about safety. He helped author the Commercial Fishing Industry Vessel Safety Act of 1988 and introduced Section 618 (the emergency beacon provision) into the 2011 authorization bill, H.R. 3619. Among hundreds of provisions, the bill - signed by President Obama in October - authorizes the Coast Guard to require the beacons on pleasure boats when they venture three nautical miles or more from the U.S. coastline or from the shores of the Great Lakes. Hiscock stresses that Section 618 does not enact anything or require the Coast Guard to do anything. It authorizes the agency to require the beacons if it believes they are warranted and to decide how to do it. He says he would prefer requiring the locator beacons beyond 20 miles because up to that distance skippers under most conditions can use a VHF radio to call for help. He agrees with the provision that would give boaters the choice of carrying an EPIRB or a personal locator beacon, which at $250 to $500 is cheaper than an EPIRB, which can cost around $500 to $1,000. The concept is not new. On Jan. 1, 2004, Hawaii began requiring all vessels except canoes, personal watercraft, surfboards and paddleboards to carry a VHF radio, PLB or EPIRB when they go more than a mile offshore. Kayaks and small sail-training boats also are exempted when another boat carrying one of the devices is with them. The following year, the National Association of State Boating Law Administrators authored a model act virtually identical to Hawaii&apos;s that other states could adopt. None has, but the U.S. Global Maritime Distress Safety System Task Force, which works on international maritime safety protocols, has asked 29 maritime organizations around the world to promote a voluntary program urging all vessels to carry an EPIRB, PLB or VHF radio when they go more than a mile offshore. 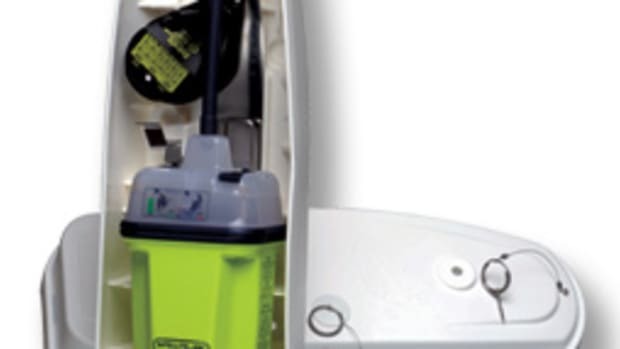 Whether boaters should have to carry an EPIRB, PLB or VHF radio offshore or whether they should be urged to do so and allowed to decide for themselves is at issue, says BoatU.S. vice president of government affairs Margaret Podlich. 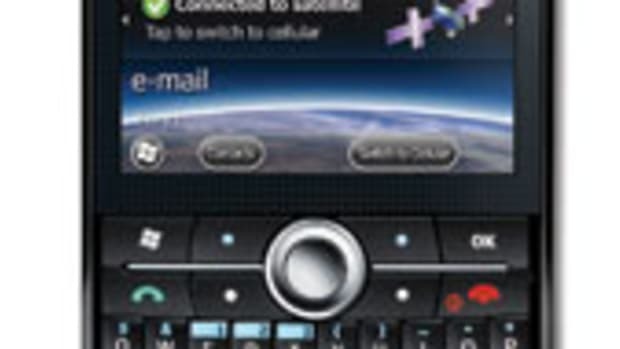 "BoatU.S. believes in EPIRBs," says Podlich. Indeed, the organization rents them to mariners for offshore voyages. However, she says a lot of its half-million or so members don&apos;t see a need for more government regulation. "We have some members who wouldn&apos;t be bothered by a federal mandate," Podlich says. "We have a lot more members who would object strongly to this Big Brother type of mandate." She questions whether it is warranted. "The Coast Guard could mandate that recreational boats that go more than three miles offshore carry a PLB, but I think that would be overkill," she says. 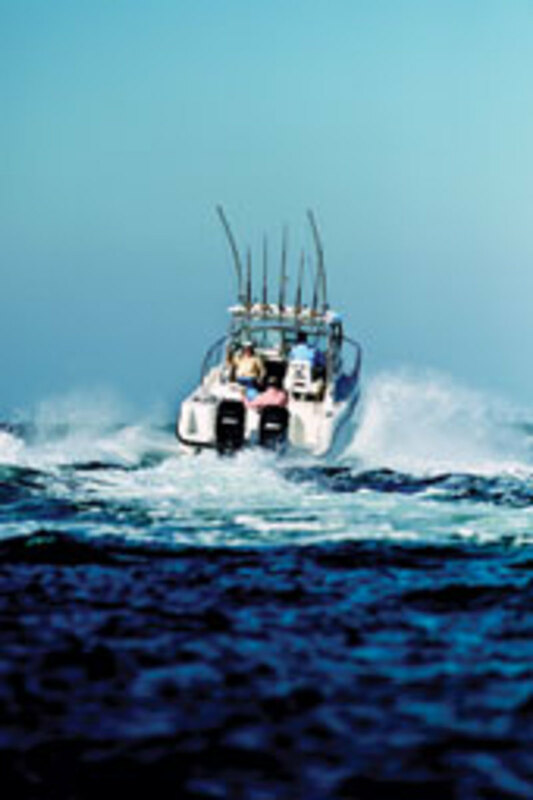 The ocean can be fierce, but most recreational boating deaths occur close to shore and inland, not offshore, she says, and many of those who do go offshore already carry the devices. 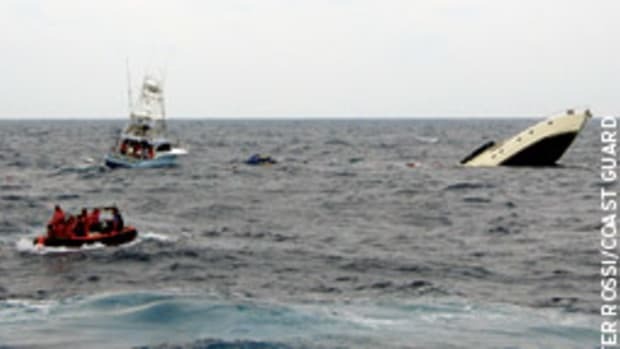 The Coast Guard&apos;s Recreational Boating Statistics for 2009 show 70 boating fatalities in the ocean or in a gulf connected to the ocean. Although that number is less than 10 percent of the 736 deaths on U.S. waters that year, the cost of offshore searches is huge. The Coast Guard has resisted the idea of charging for rescues, saying it would discourage people from calling for help. 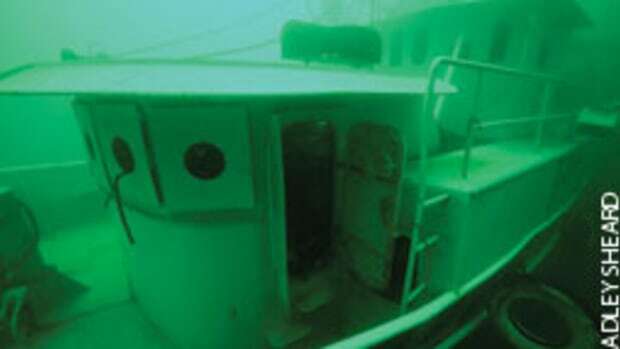 But the costs associated with extended offshore searches were in the spotlight in February 2009 during a massive three-day search of the Gulf of Mexico for National Football League players Corey Smith and Marquis Cooper, and friends William Bleakley and Nick Schuyler, both former players at the University of South Florida. Only Schuyler was found alive, clinging to the boat&apos;s hull. 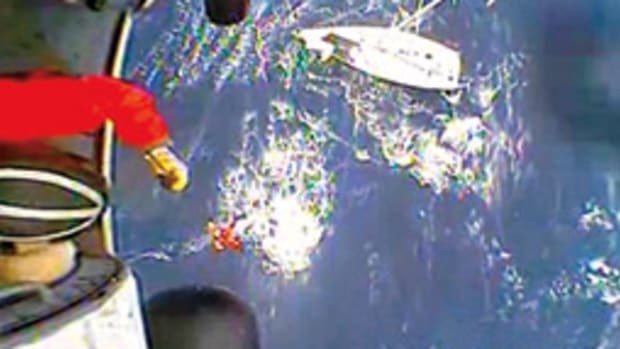 The Coast Guard says that if the boat had been carrying an EPIRB, searchers might have found it faster and saved three more lives. Others say it also would have saved the Coast Guard a big chunk of the $1.6 million search tab and spared rescuers the risks involved in a long search. The Coast Guard, in an April 2008 memo on the costs of operating its boats, cutters and aircraft, says the direct cost of putting a 41-foot utility boat into a search for an hour is $873; a 110-foot cutter, $1,147; a 210-foot cutter, $1,914; an HU-25 jet, $5,731; a Jayhawk helicopter, $6,530; and a C-130 aircraft, $7,648. In the search for the football players, two C-130s; two Jayhawks; 179-, 110- and 87-foot cutters; a 47-foot Motor Lifeboat; and other rescue craft from the Air Force, Pinellas County Sheriff&apos;s Office and the Florida Fish and Wildlife Conservation Commission were used. "There are a lot of people who are sailing way offshore and a lot of people who are sportfishing way offshore in some fairly small boats for the places they are going," Hiscock says. He thinks the Coast Guard should consider requiring beacons on them. Podlich isn&apos;t convinced. "If you can still see shore, I just don&apos;t think these day fishermen in a 21-foot Mako necessarily need an EPIRB," she says. The Coast Guard would have to perform a cost-benefit analysis and hold public hearings before adopting a mandatory beacon rule. Hiscock says it might be tough to justify the regulation on saved lives alone, but the combination of saved lives and saved money could be compelling. "It&apos;s pretty easy to demonstrate that these things are real cost-savers for the government," he says. The Federal Boat Safety Act of 1971 gave the Coast Guard authority to require pleasure boats to carry whatever "associated equipment" it deems necessary for safety - life jackets, fire extinguishers, visual distress signals, navigation lights - but the act excluded "radio equipment." Hiscock says he has asked the Coast Guard why it has not contemplated requiring EPIRBs or PLBs on pleasure boats. He was told the agency can&apos;t require the devices because they are radio equipment. 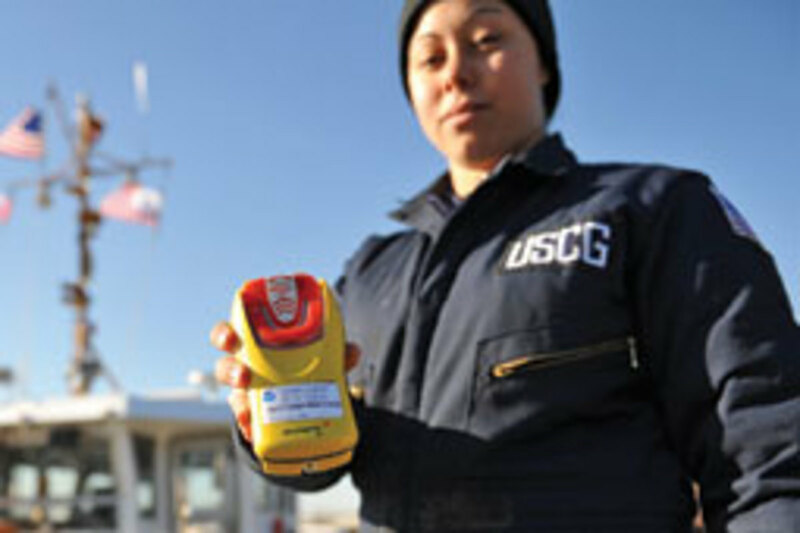 Section 618 excludes "emergency locator beacons for recreational vessels operating beyond three nautical miles" from the definition of radio equipment, which now allows the Coast Guard to consider requiring them, Hiscock says. "From a search-and-rescue perspective, it is always good to have an EPIRB with you," says Jack Frost, who works in search planning for the Coast Guard Office of Search and Rescue. "It makes it a heck of a lot easier to find you." Whether the Coast Guard will require one on your boat remains to be seen. "Everything that&apos;s in there, we&apos;ll be taking a look at," Coast Guard spokesman Senior Chief Petty Officer Michael O&apos;Berry says. - Night vision - What&apos;s out there?